When you’re a savvy retailer, there is no way you want your store having such a high rate of abandonment cart during the checkout process and leaks your money. There are many reasons that cause the high rate, such as: require to create an account, too long/ complicated checkout process, couldn’t see/ calculate total order cost up-front, not enough payment methods or decline customer’s credit card. So, what should you do to prevent those issues? The answer is quite simple: install Mageplaza Magento 2 One Step Checkout extension. This Magento 2 module with a user-friendly store-end will make the checkout process fast, convenient, reliable and, moreover, boost your sales. 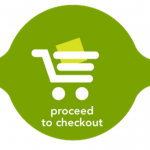 Mageplaza One Step Checkout improves the checkout process and turns it into a higher level. 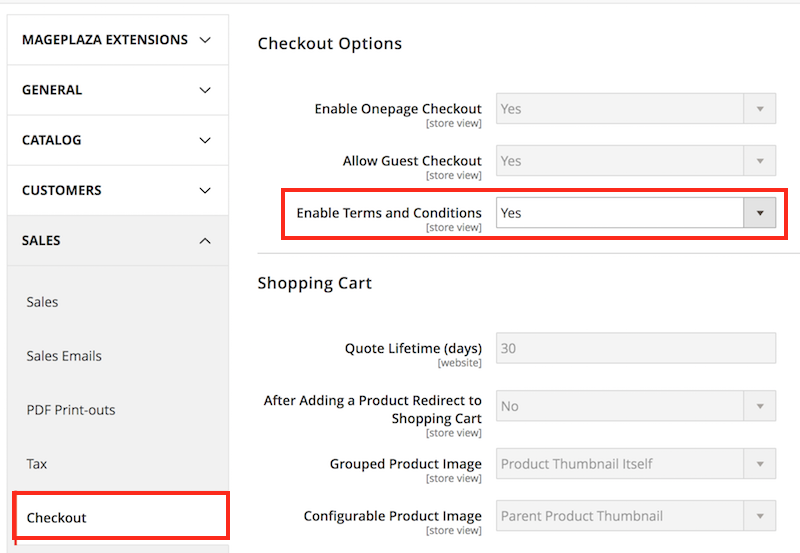 This Magento 2 extension brings all the complicated checkout steps into just 1 page and reduces the checkout time up to 80%. Let customers do less, they will buy more, and you will get more money. Instead of 2 complicated checkout steps of Magento 2 default, now it’s all gathered on one stunning page only. 2) The best part – supports nearly 100% payment methods. If your payment method belongs to the 1% remain, what you need is just contact to Mageplaza team. They confirm to make One Step Checkout compatible with all payment method the customers could use. Basing on the characters you typed, many suggestion addresses will appear and allow you to auto-fulfilled your information. Mageplaza also provides an advanced and unique feature, which is named Find me. This feature will automatically fill in your address base on your IP just by a click. It is accurate, efficient and saves much time. This extension provides all the necessary tools for you to change the specific appearance of the checkout page, from color, checkout layout to the position or structure without touching any line of code. Mageplaza has done an excellent work with their Magento 2 One Step Checkout extension: it is well compatible out-of-box with 99% of the third extensions such as shipping/ payment providers or loyalty extensions or credit module. In case not, no problem, Mageplaza team will help you out. Besides those beautiful features, MageplazaMagento 2 One Step Checkout extension also allows you to have a flexible checkout page to adopt a broad range kind of items or in the special time like the holiday. Apply Coupon instantly: Assume your store is running a tribute campaign with lots of the coupon code. Don’t worry! With this extension, your customers just need to insert the coupon code in the required field, and the discount will be applied directly to the order. Order comment: Your customer will have a field to write their specific requirements for the order. It not only saves time but an excellent way to increase the shopper’s satisfaction. Gift wrap & Gift Message: Helping your customers to prepare the beautiful gifts to their beloved person within the checkout process will never be more comfortable with those features. Terms and conditions. Terms and Conditions is one of the best ways to protect your store. This is an approach that should be taken to limit the liability of the store owner. 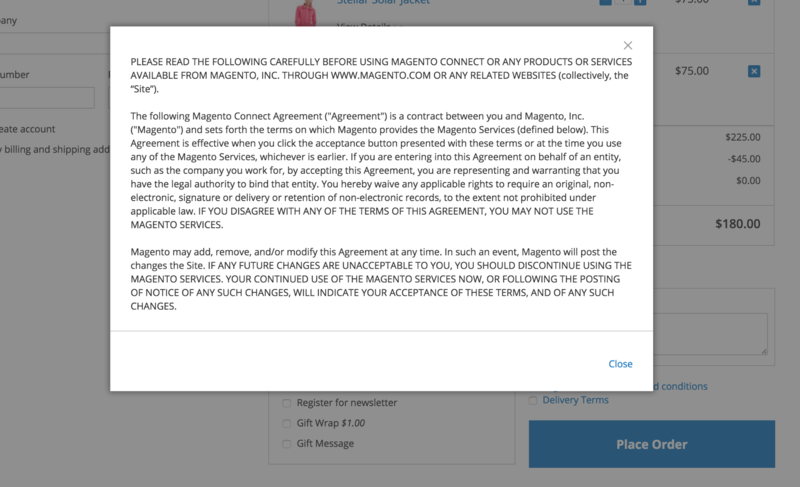 Now, with Mageplaza One Step Checkout, no need to open the new tab or window, the terms and conditions pop-up will be displayed just by a click. By far, Mageplaza One Step Checkout receives many good reviews. You can check it out some of those here. 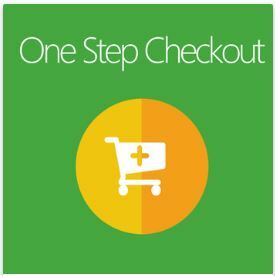 Mageplaza One Step Checkout is packaged in a Zip file, and you just need to follow the simple guide, the checkout administration will appear in the Admin Panel and ready to use. This extension is available under Mageplaza > One Step Checkout. 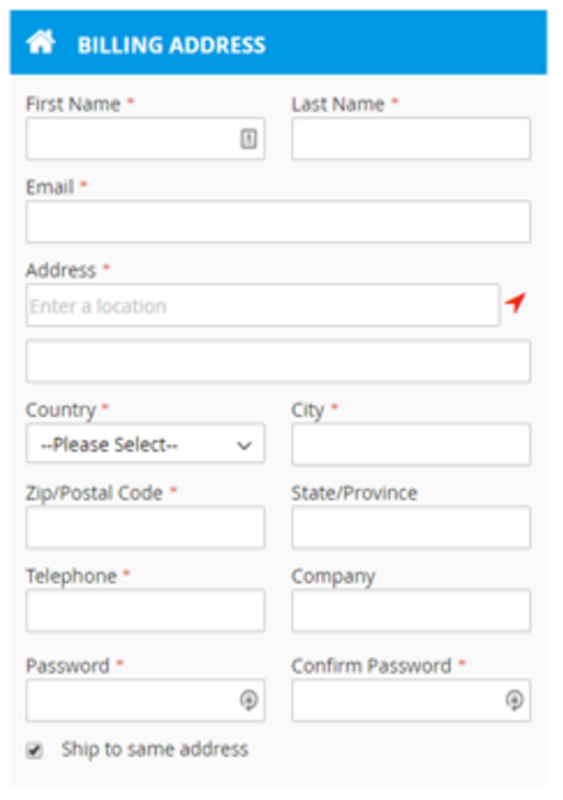 There are ten possible fields in the store backend which include First Name, Last Name, Company, Street Address, Country, State/Province, zip/Postal Code, Phone Number, City, and VAT Number. Mainly you can modify the position and size of each field by drag and drop. If you think any field is unnecessary, you can move and leave it in the available areas. After done, choose Save Position. 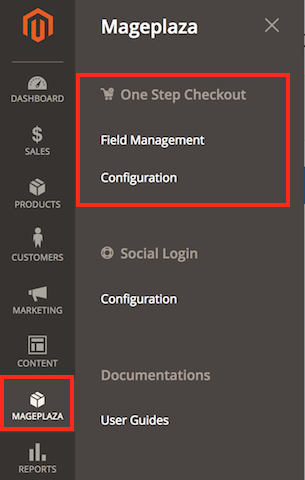 Go to Mageplaza > One Step Checkout > Configuration. 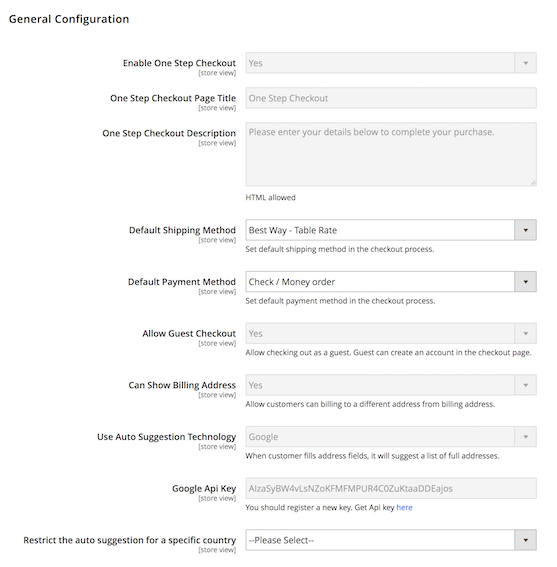 Here, you will have 3 main sections to modify your checkout page. First, in the General Configuration section, Mageplaza allows you to config the features for the checkout page. You can enable/ disable the One Step Checkout, add the page title and description, allow guest checkout, show billing address and more. In the last, after using Google for the auto-suggestion technology, you should insert your Google API Key. If your store runs in the specific country, choose that country to restrict the auto-suggestion will make it works faster and more efficient. 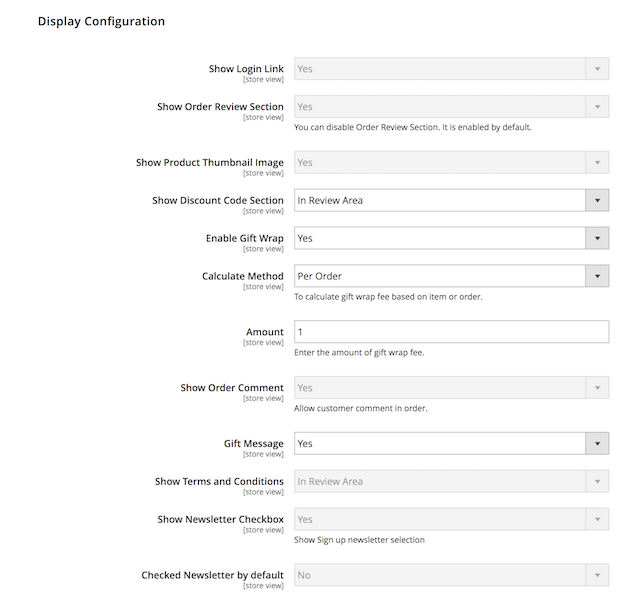 Next, the Display configuration provides the settings to display the One Step Checkout page. You can enable/ disable each specific section, choose the position of Discount code or Terms and Conditions section. If you enable Gift Wrap feature, you need to choose the calculate method and insert the amount to make it works correctly. Choose per Order to calculate the Gift Wrap for the whole order. Choose per Item to calculate the Gift Wrap for each specific item. 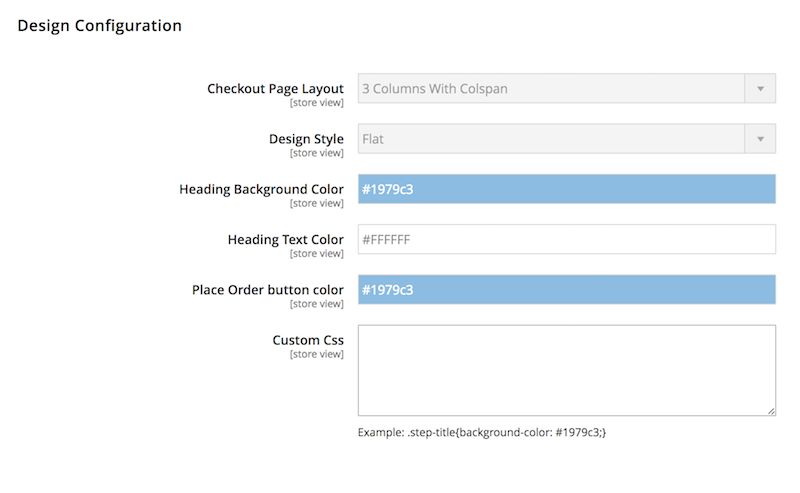 Finally, in Design Configuration, there are 4 layouts for you to choose: 1 column, 2 column, 3 column and 3 column with colspan. Besides, you can freely to choose Default or Flat design. The Material design will be available soon. Also, Mageplaza lets you specify the color of the Heading Background Color, Heading text color, and Place Order button color. Want to add your own style? Just do what you love in Custom CSS box. This is a core module of Magento 2 and is fully compatible with Mageplaza One Step Checkout. To active, you must go to Stores > Configuration > Sales > Checkout > Checkout option and choose to enable Terms and Conditions. Then, go to Stores > Terms and Conditions and add your content. As you can see, all the complicated steps are gathered on a page only. 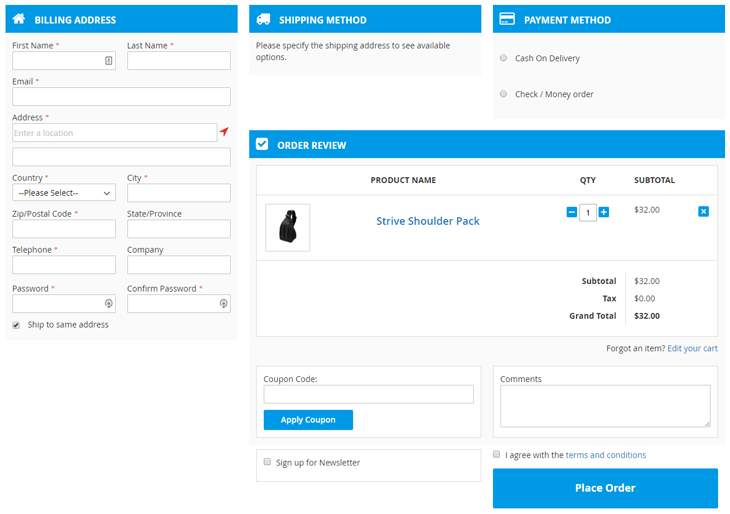 The page includes 3 main sections: Billing Address, Shipping Method and Payment Method, and an Order Review block. The Billing Address appearance is based on your customization on the Field Management configuration. Next to Address box is the Find Me icon. By clicking on it, the customer address will be automatically fulfilled based on their IP. The Order Review block provides the information about the customer’s order, include a Product name, Quantity, Subtotal, Tax, Gift Wrap (if enable) and Grand Total. This block will automatically change the information based on the customer’s choices. In the last part, the customer will have the section to add Discount Code or the Order Comment. There also have 3 options to choose by marking the checkbox: Register for the newsletter, Gift Wrap, and Gift Message. 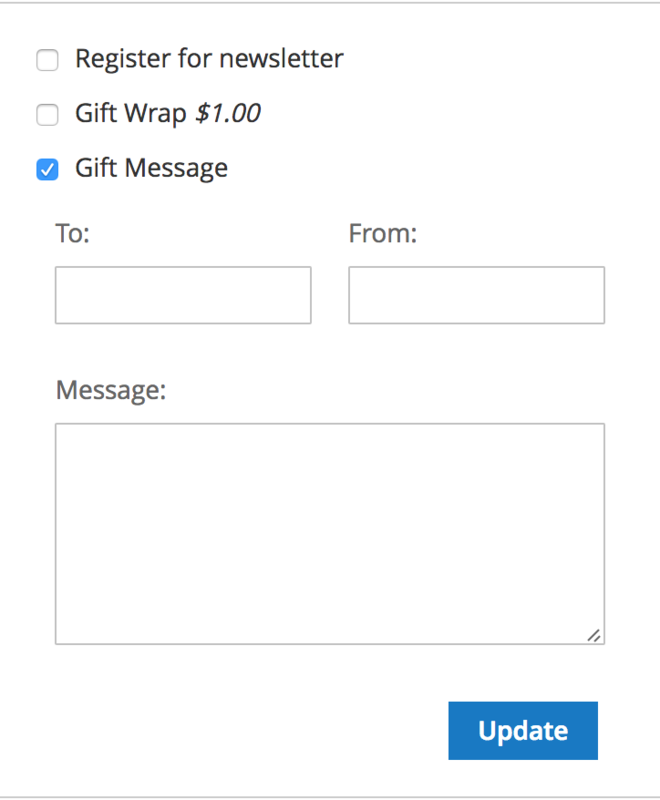 When the customers choose Gift Message, a section will appear and they can add their message directly. Regarding the Terms and Conditions, here is the example of how the pop-up will be displayed. Mageplaza One Step Checkout is a simple but powerful Magento 2 extension. Not only simplify the checkout steps, this extension also provides many out-of-the-box features allow the store owner have the fastest, most convenient and reliable checkout process ever. 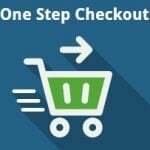 With the price $199, Mageplaza One Step Checkout is completely a must-have and worth-have Magento 2 extension for your store.